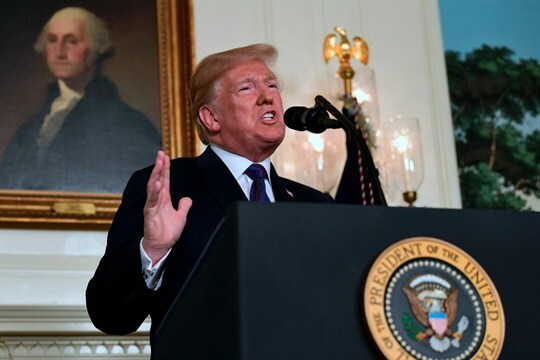 President Donald Trump speaks in the Diplomatic Reception Room of the White House about the United States’ military response to Syria’s reported chemical weapons attack, Washington, April 13, 2018 (AP photo by Susan Walsh). In the horrible days following the 9/11 attacks, America’s full attention was on punishing the culprits and reinforcing its defenses against terrorism. While these tasks clearly had to take priority, the attacks also demonstrated that the United States needed to decide whether its 18th-century Constitution was adequate for national defense in the 21st century.